Leo Vegas is a name well known to most online and mobile casino gamblers, being as it is a veteran of the iGaming scene. Attracting players with a welcome bonus worth up to £1,500 (with 200 extra spins thrown in), it keeps them coming back with its massive range of slots and casino game, generous recurring bonuses and top quality customer services. Hands down, this is one of the best mobile casinos that's currently around, harbouring pretty much every new slot that you can think of. Everything’s supersized at Leo Vegas: from the vast selection of games, to the massive welcome bonuses it seems everything’s bigger at this mobile casino. While choice abounds, and the popularity off the site reflects this high quality, Leo Vegas doesn’t fail to offer players a unique and personalised service every time. The only complains legitimately levelled towards Leo Vegas could be the lack of mobile billing deposits and frankly far too much choice when it comes to deciding where to start playing. We didn't even know where to start with the review process, not to mention actually playing at Leo Vegas. 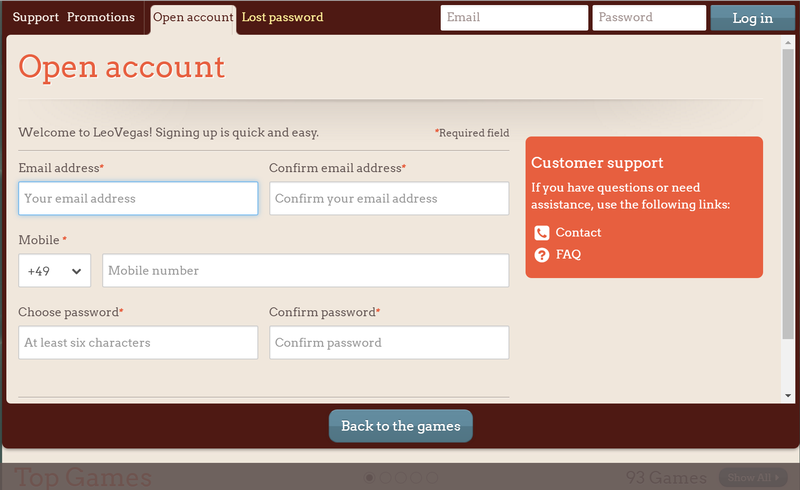 The site design is slightly busy and convoluted enough to throw us off our game. Yet, once you find your footing, this is a truly exhilarating casino. It’s no secret that the big draw for players to Leo Vegas is the ridiculous selection of mobile slots and casino games that the site boasts. There are nearly 500 games available for desktop players, and pretty much all of them are also available to those playing on a smartphone or tablet. How does the site manage to host so many games? Well, by featuring titles from not one, not two, but nine different software developers! That means you’ll find slots and casino game titles from Play’n Go, Quickspin, Evolution Gaming, IGT, Netent, Microgaming, Bally, Nextgen, Cryptologic and Yggdrasil gaming. With so much on offer, it’s tricky to pick out favourites, but that is our job, so here goes. Among the mobile slots on offer at Leo Vegas, you’ll be wise to check out Starburst from NetEnt (especially as this is the game you’ll be able to use your welcome bonus extra spins on), and you’ll always have fun on the new When Pigs Fly. A slot that’s old but still gold is Microgaming’s Mega Moolah, which regularly offers the biggest jackpots of any mobile slot. While this is a generous helping of no deposit extra spins, the fact you can only use them on one slot means they’re definitely just designed to entice you to the casino, rather than letting you have a go to see if you like any of the other hundreds of games on offer. On top of nice welcome bonuses, Leo Vegas offers players a generous VIP system, and can always be found running at least one seasonal promotions with huge cash rewards or other prizes. I’m sure you won’t find it a surprise to learn that such a big, popular and widely played casino offers a broad range of banking options. You can deposit and withdraw at Leo Vegas using credit or debit cards, bank transfers, Skrill, Neteller, Paysafecard or Trustly. It’s a nice array of convenient and secure payment methods, though with payments for withdrawals taking between one and five working days, they could be faster. It’s still a shame not to see a truly mobile depositing option like Boku available at Leo Vegas, and this will definitely be a drawback for many casual gamblers who like the convenience of the relatively small value deposits it makes possible, but most players should be able to find a method that works for them. Leo Vegas is one of the casinos setting the gold standard for customer service in the industry. 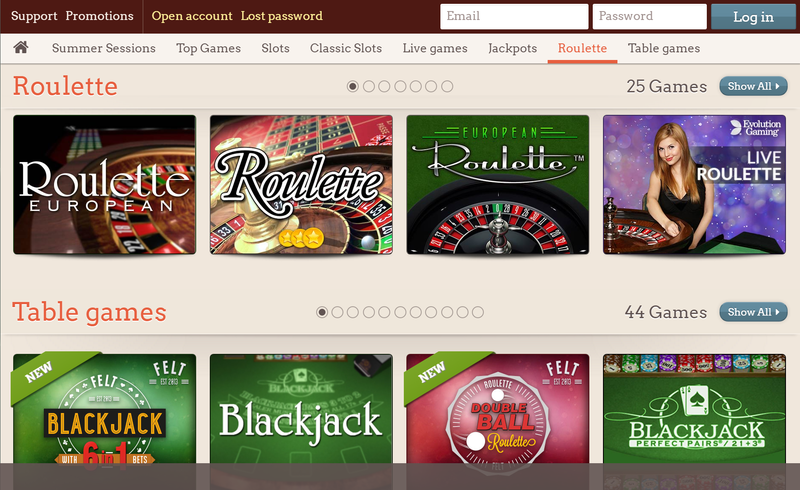 The first port of call for a player with an issue is the comprehensive FAQ section on the casino’s website which details how everything from how games work and how to claim bonuses, to which payment methods are available and how to use them. If you can’t find the answer you’re looking for there, you can get in touch with a customer service agent via phone, live chat or email (details of which can easily be found on the casino’s website). Issues are usually resolved speedily, and given the size and experience of the brand, you’re more than likely to get a satisfactory outcome. Want to play at Leo Vegas? Leo Vegas Leo Vegas is a great all-rounder casino with character. Offering an equally high quality experience for both mobile and desktop players, its massive, slots led games offering is almost unrivalled in the industry. Players who usually stick to smaller casinos because they like the personality which comes with a more boutique site will feel right at home here, despite the fact Leo Vegas is one of the largest casinos on the web.